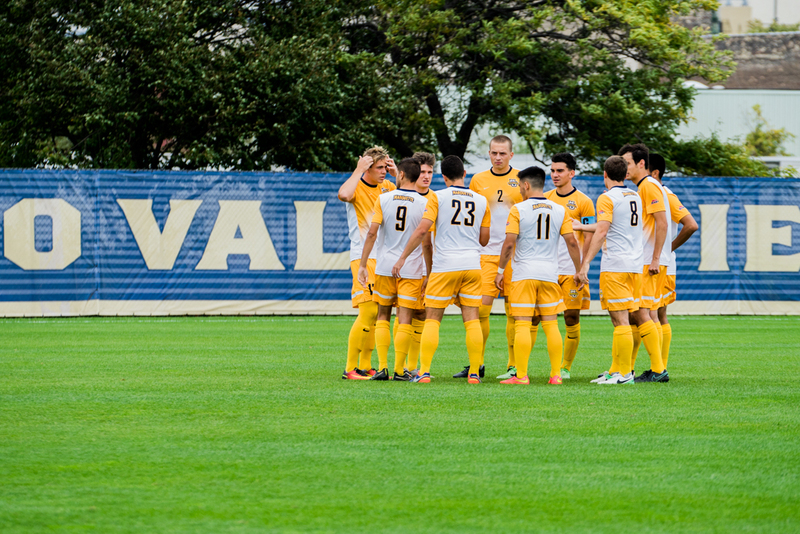 Marquette men's soccer starters gather around before their match against Providence. 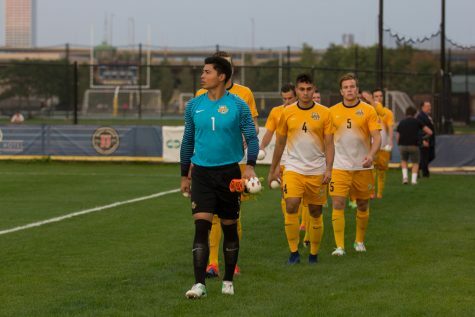 The Golden Eagles have yet to play the same starting XI this season due to injuries. 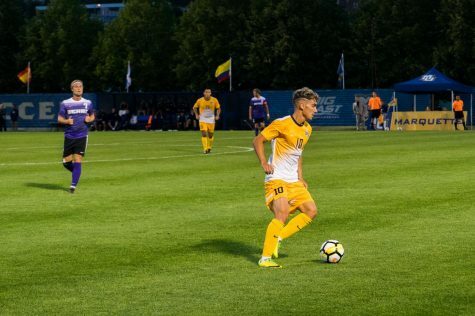 With everything on the line in a trip to last-place DePaul, Marquette soccer knew what was at stake. 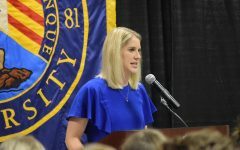 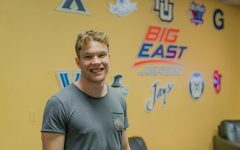 All the Golden Eagles had to do to drastically improve their chances of going to the BIG EAST Tournament was get a point or a victory over the lowly Blue Demons. 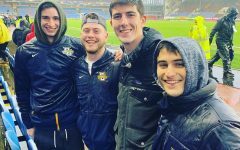 They failed to do so, as DePaul won 3-1. 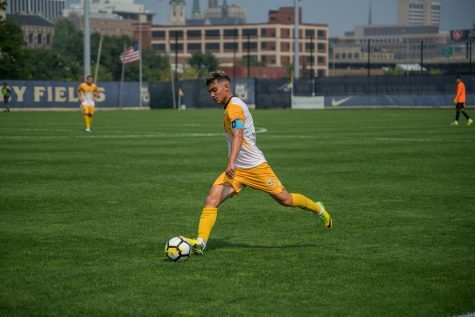 As a result of the loss and Providence tying St. John’s 0-0 in Rhode Island later in the evening, the Golden Eagles will miss out on the BIG EAST Tournament for the third consecutive year, as they haven’t made an appearance since 2014. 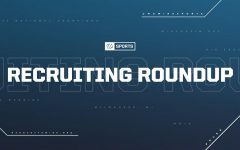 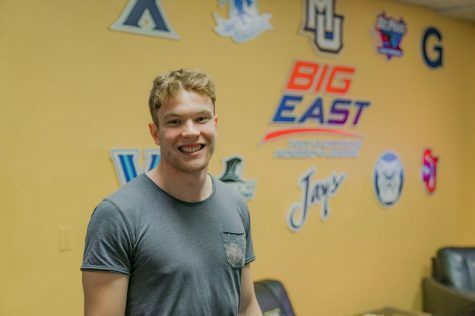 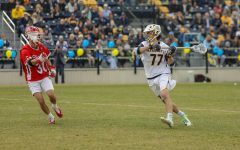 The final standings showed that Creighton and Providence had done just enough to get over the line with 11 points, while a late-season push by Marquette came up just short, as the Golden Eagles finished the season on the outside looking in with 10. 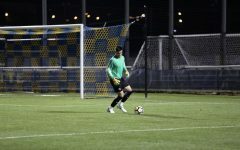 Head coach Louis Bennett said he was not pleased in the way they finished the match and was disappointed to play the waiting game. 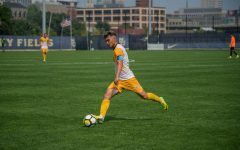 Grant Owens got Marquette on the board just eight minutes into the match with a sprint down the right flank, as he beat his defenders and fired it past the keeper. 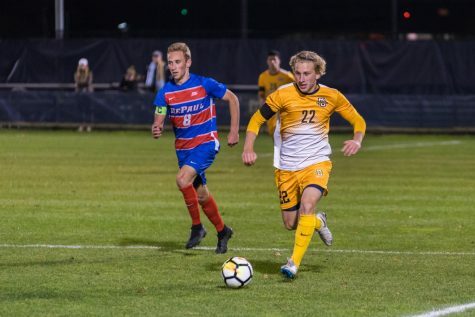 DePaul answered 71 seconds later, when Phillip Konigstein got behind the Marquette defense and crossed in a ball to Istvan Wilhelms, who tapped in his fourth goal of the season to level the score at one, where it would stay for the remainder of the first half. 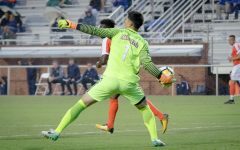 The Blue Demons came out in the second half and scored less than five minutes in. Midfielder Bryan Simons notched his first goal of the season after goalkeeper Noah Heim came out of goal and missed a save attempt, creating an easy empty-netter. 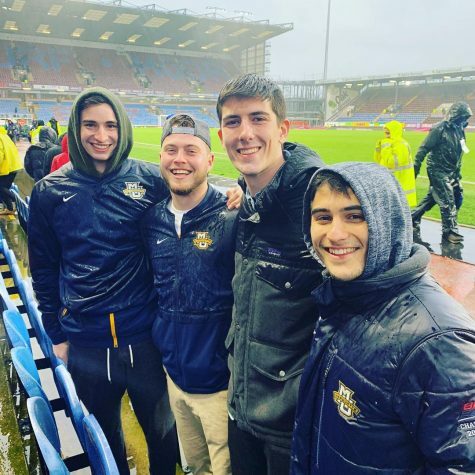 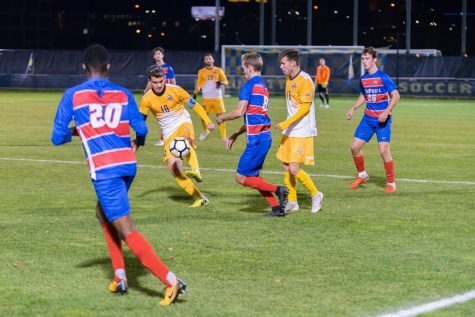 The Golden Eagles caught a break in the 67th minute when DePaul defender Sasa Labovic picked up his second yellow card for a tackle on Connor Alba, forcing the Blue Demons to play with 10 men instead of 11. 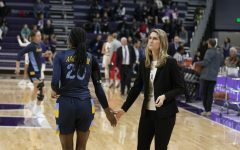 Marquette attacked furiously in the aftermath of Labovic’s ejection; at one point, the Golden Eagles had eight shots in a two minute span. 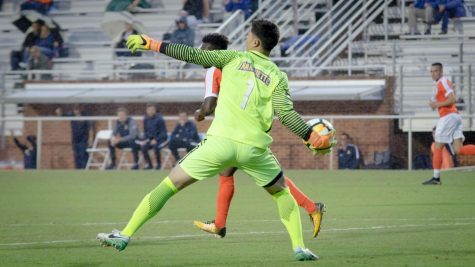 Sophomore Luka Prpa was denied a brilliant chance after his shot in the 83rd minute was saved by DePaul keeper Quentin Low. 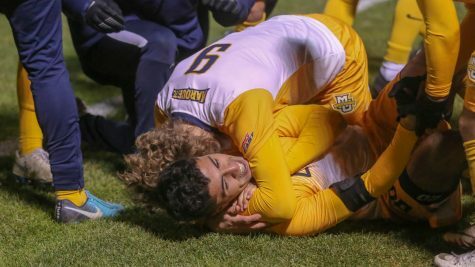 The knockout blow would come off the foot of Zach El-Shafei, who received the ball off a counterattack and made a run down the left side, beating Heim to the near post. 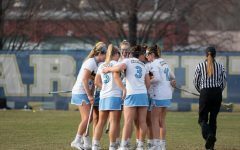 Once the final whistle blew, players laid on the field dejected, some overcome with emotion, knowing their best effort wasn’t enough.